Hello ladies and gents, and welcome to another episode of Abbey Bakes! After sharing my choc chip cookie recipe last month, I'm back with another simple yet mouthwatering bake to tickle your tastebuds! 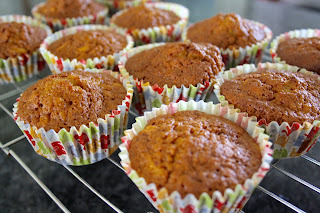 This week I'm baking carrot cake muffins which are so good that you can ALMOST convince yourself that they count as one of your five-a-day. Almost. I love seeing when people recreate my recipes, so if you give this one a go, please tweet me a picture, or tag me on Instagram! Ground cinnamon (1 tsp) - this is optional, I left it out as my sister hates cinnamon! Step One: Preheat your oven. Turn it up to 180 degrees C / 350 degrees F / Gas Mark 4. Step Two: Weigh out all of your ingredients. 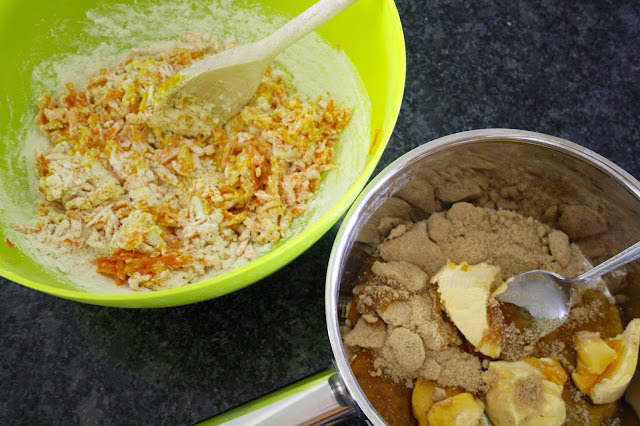 Place the sugar, golden syrup, and butter / margarine into a saucepan. 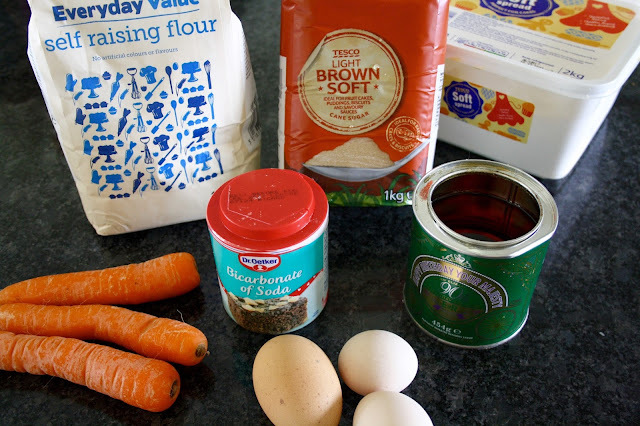 Place the flour, bicarbonate of soda, carrots, cinnamon, and eggs into a mixing bowl, and mix together. Step Three: Melt the butter / margarine, syrup, and sugar over a low heat until the butter is runny and is totally combined with the sugar. Stir regularly. You should end up with a smooth mixture. 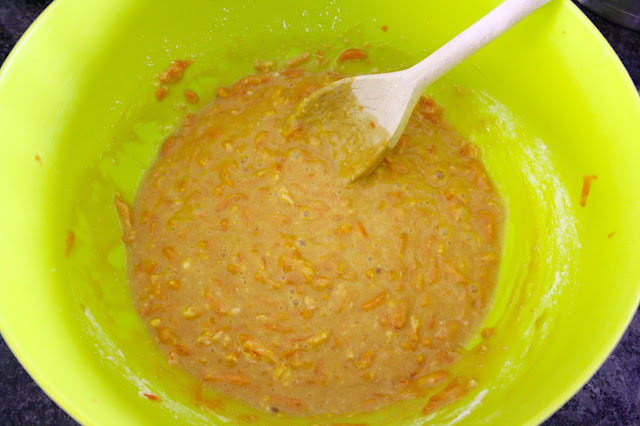 Step Four: Pour the melted butter mix into the bowl with the flour and carrot mixture. Stir in until you have a batter. Step Five: For easy pouring, transfer your mixture into a jug. 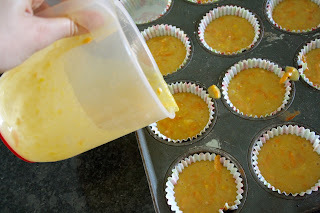 Use your jug to pour the mixture into a cupcake tray. The muffins will not rise too much, so fill each muffin case at least 3/4 full. Step Six: Bake in the oven for 20-25 minutes. When cooked, the centre of the muffin will spring up when pressed down with your finger. Your muffins will be a delectable golden brown colour! After you take them out of the oven, leave to cool completely on a wire rack before icing! 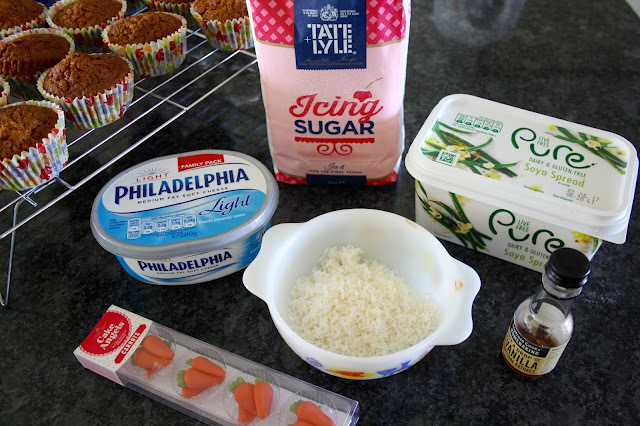 Step One: All you have to do to make the icing is put all of the ingredients into a mixing bowl and mix together! If you're lazy like me, you can use an electric whisk, but a manual one will work just as well. Step Two: Get icing! You can use a piping bag if you have one, but I just spooned the icing on and it still looks delicious! These muffins come out super light and fluffy, and are totally delicious! 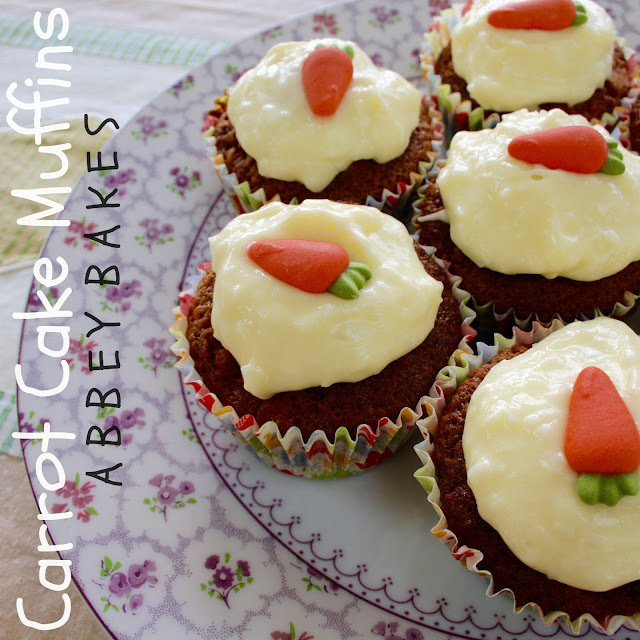 By themselves, the muffins can taste a little bland, but the icing really brings them to life. The crunch of the dessicated coconut gives a really tasty texture as well, so I would highly recommend this recipe! 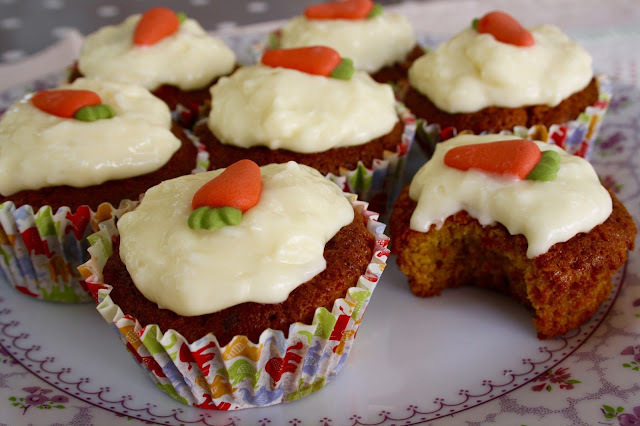 Are you a carrot cake lover? Are there any other recipes you'd like me to share on my blog? I'm always open to suggestions, so please comment below if you have a recommendation for me!